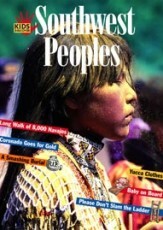 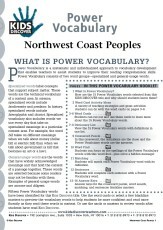 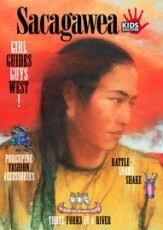 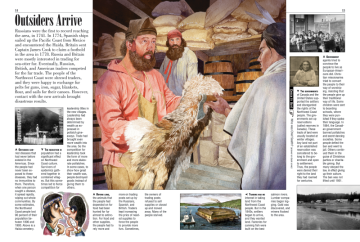 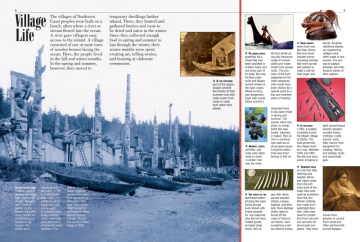 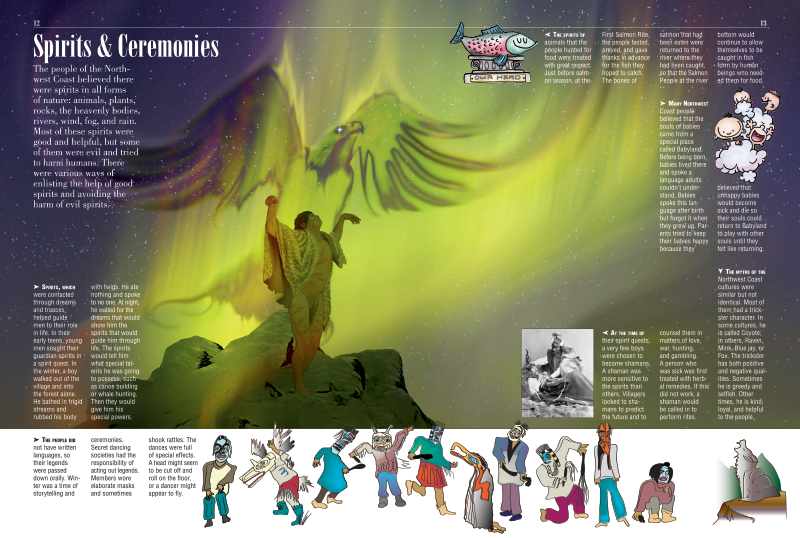 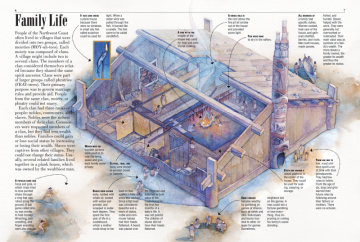 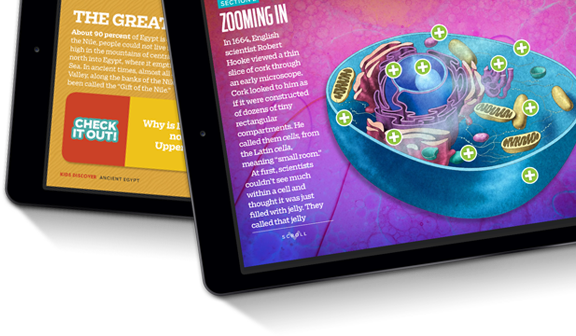 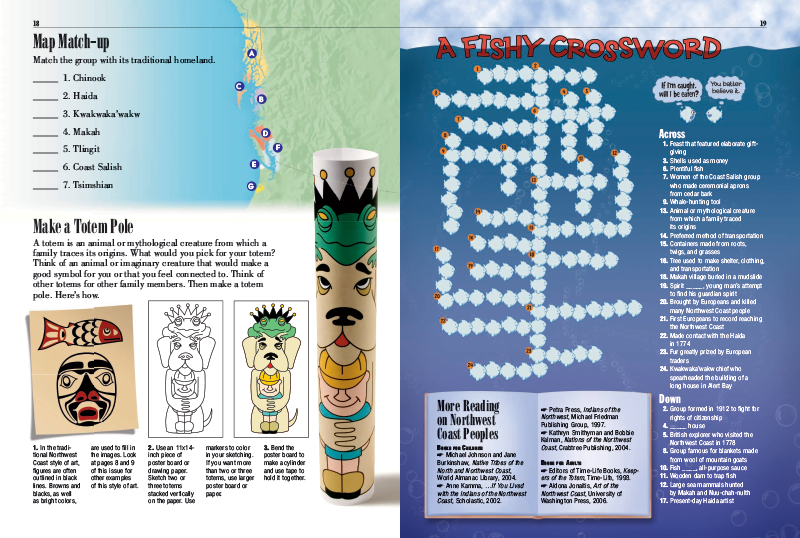 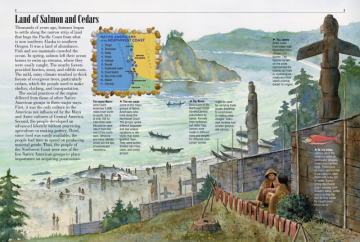 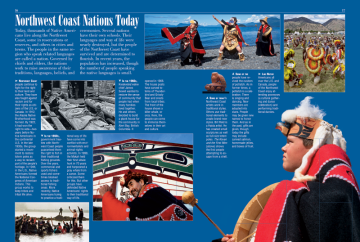 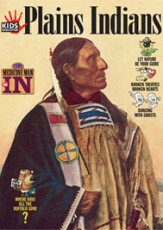 In this issue, kids will spend some time learning about the Northwest Coast Peoples, who lived on the shores of the northern Pacific Coast, and how they differed significantly from other Native American groups. 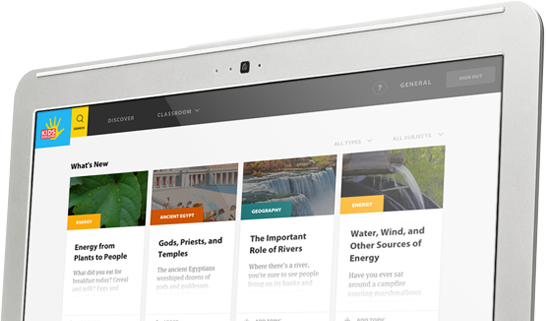 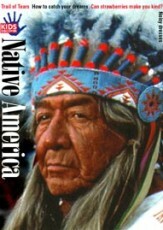 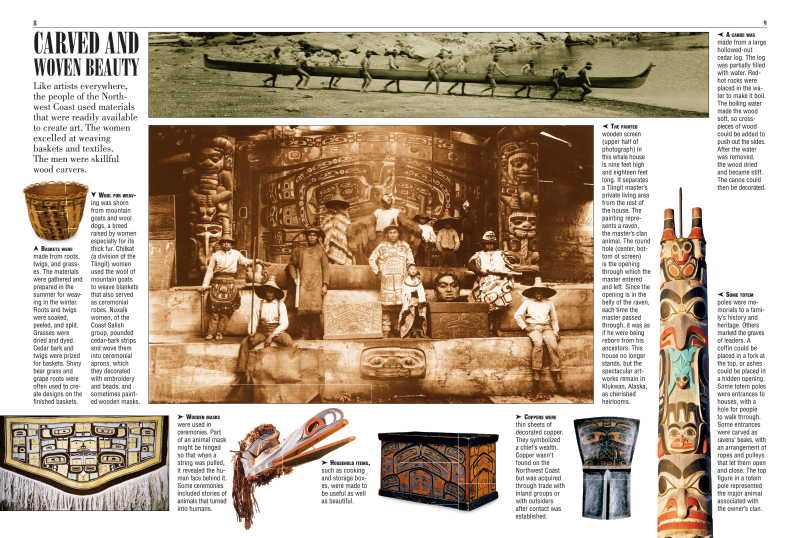 For one, they were not influenced by the Maya or Aztec people of Central America. 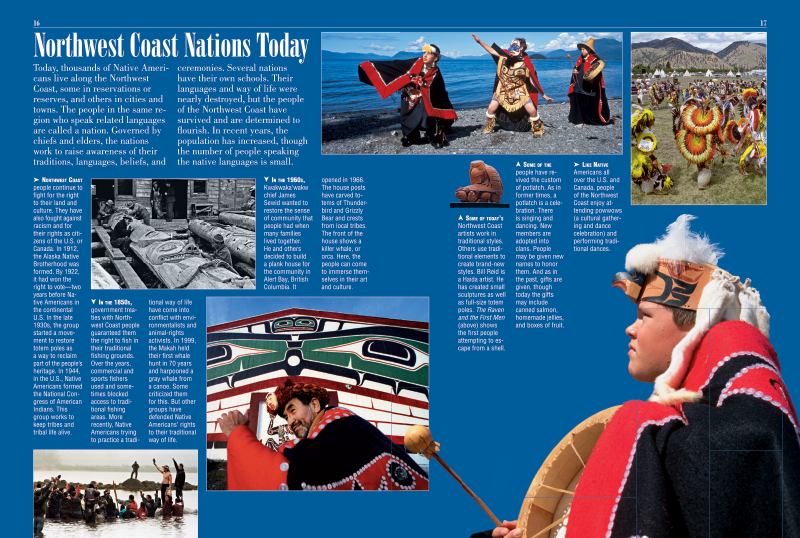 Also, they managed to create a sophisticated culture without farming, and because food was so plentiful in the area, they were able to devote themselves to producing material goods. 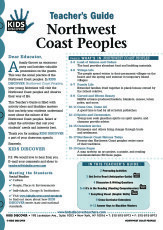 Learning about the Northwest Coast Peoples in this issue is made easy with simplified explanations of their clan and kinship structure, and with attractive illustrations highlighting their intricate carvings and their woven textiles and baskets. 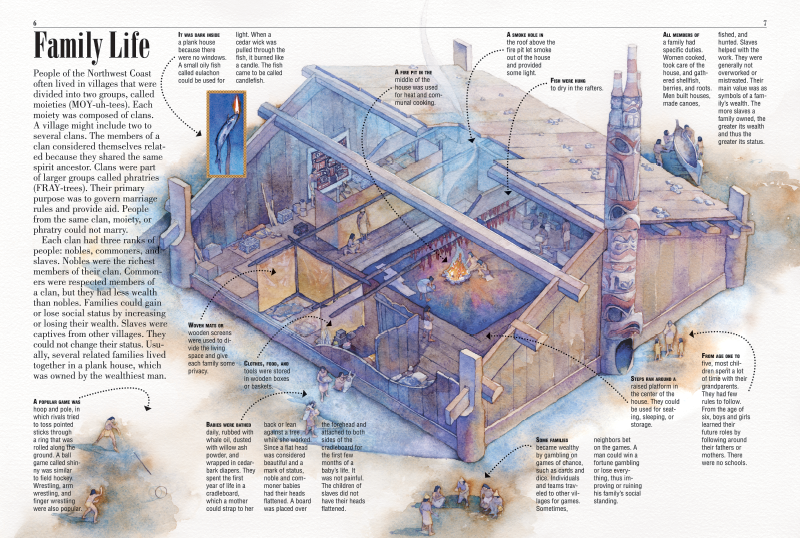 Potlatches – or community gatherings held to honor births and weddings – demonstrated just how much these tribes sought spiritual and community harmony. But all of this changed with the arrival of outsiders such as Russian traders and Spanish missionaries in the 1700s. Overhunting of key game, like bears and elk, and the introduction of new diseases, like smallpox, wreaked havoc on the population. A more hopeful period to hear about may be the present, in which the survivors of this era have banded together to preserve their culture, hold powwows, and produce traditional art. 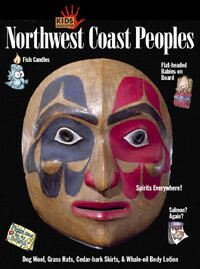 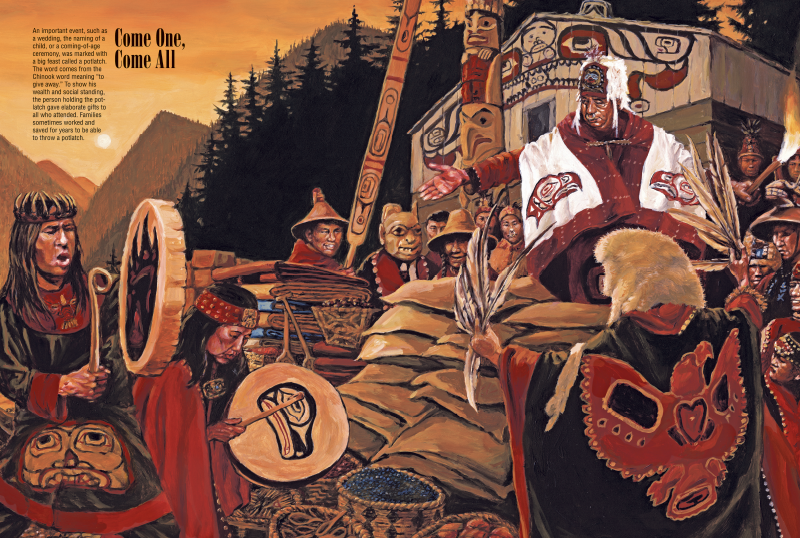 In this issue, the thoughtful discussion of Native American life, past and present, makes learning about Northwest Coast Peoples a special journey.